Coles, Rob, Grech, Alana, Rasheed, Mike, McKenzie, Len, Unsworth, Richard, and Short, Fred (2011) Seagrass ecology and threats in the tropical Indo-Pacific bioregion. In: Pirog, Robert S., (ed.) Seagrass: Ecology Uses and Threats. Oceanography and Ocean Engineering . Nova Science Publishers, New York, NY, USA, pp. 225-239. Seagrass meadows are critical components of Indo-Pacific tropical marine environments providing some of the most economically important ecosystem services of any marine habitat. Many coastal traditional ways of life are intricately associated with seagrasses for food, recreation and spiritual fulfilment. These unique marine flowering plants are found mainly in clear, shallow, sheltered, estuarine and coastal waters with as many as 24 of the worlds’ 72 seagrass species found in the region. Despite their importance, seagrass meadows are experiencing high rates of loss in some parts of the world. 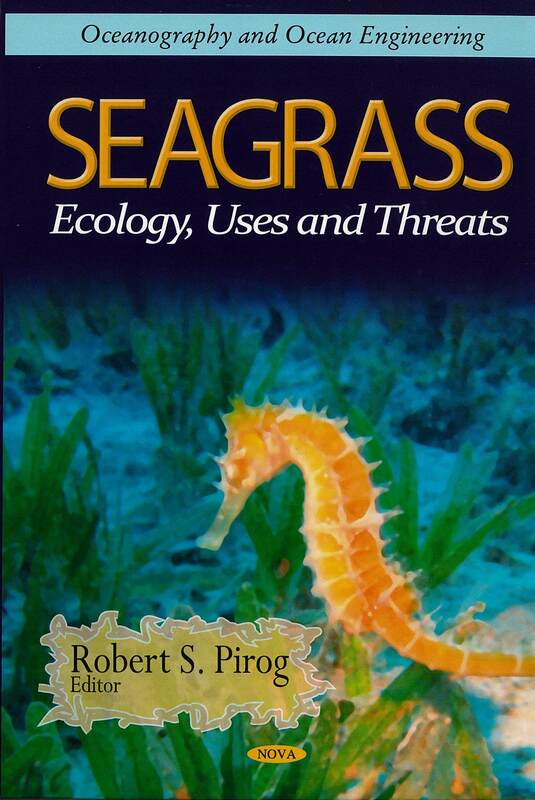 There are many threatening human activities to seagrasses including direct threats such as land reclamation and chemical spills as well as diffuse threats such as water quality and the influence of climate variability. In the Indo-Pacific conservation activity is focused on coral reefs, with little consideration and emphasis placed on interconnectivity with other marine environments such as seagrasses. In recent years several seagrass monitoring programs have been implemented to monitor change in the Indo-Pacific region and iconic marine parks such as the Great Barrier Reef Marine Park are a focus for developing a more nuanced understanding of change in coastal habitats. We outline the current status of Indo-Pacific tropical seagrass knowledge, the threats to coastal seagrass meadows in this region, and approaches to management that will ensure long-term survival and conservation of these important habitats.